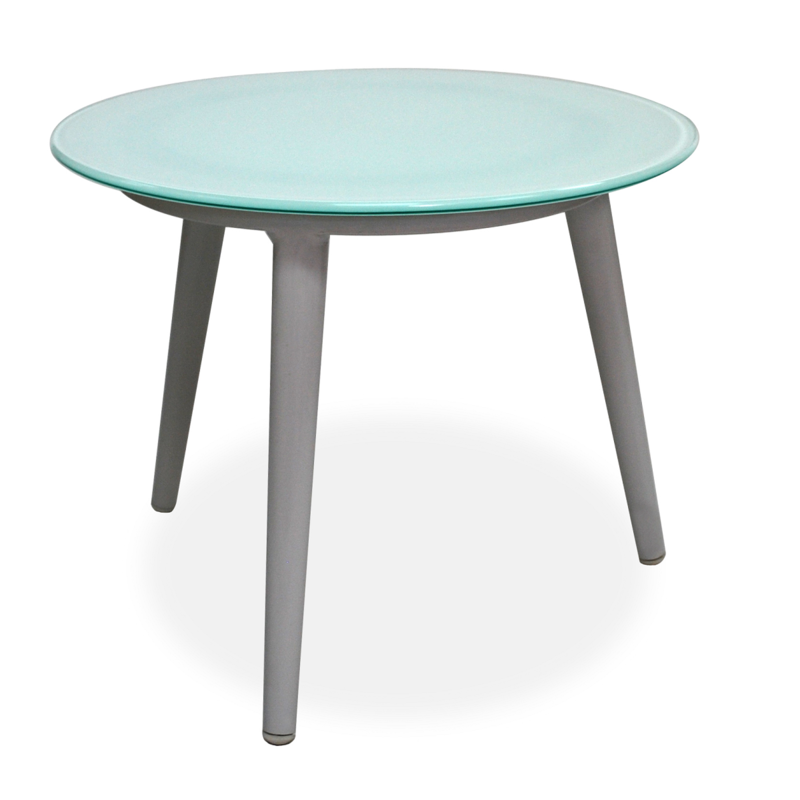 Kannoa Cancun Side Table with Glass Top | ET&T Distributors, Inc. This round side table mixes a textured all-weather wicker with a slender powder coated frame. The Cancun Round Side Table is part of the Kannoa Living Collection. 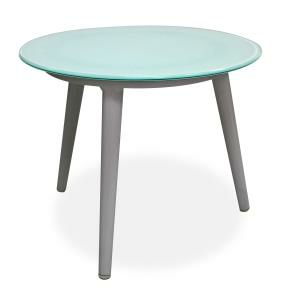 The tapered legs are reminiscent of classic mid-century design and give the pieces an airy quality. Its small footprint and contemporary feel, make it a natural choice for patios, decks and balconies. The slender design would easily fit in smaller spaces.